I was born with six fingers on one hand and I love that strange but true fact about me and so by extension I love that about your daughter too! it takes a special person to have an extra digit or two! That’s amazing! I was scared of what Caroline would look like when they saw her extra fingers on ultrasound, but they were so beautiful and cool! Because of her Trisomy 18, my Audrey had “clenched fists.” It was an early ultrasound indicator of her extra chromosome. I loved her little fists with the index and pinkie fingers on top of her two middle fingers… I have a picture of it that hangs on my wall to this day. I have so many pictures of Caroline’s hands! They were so beautiful, like everything else about her. 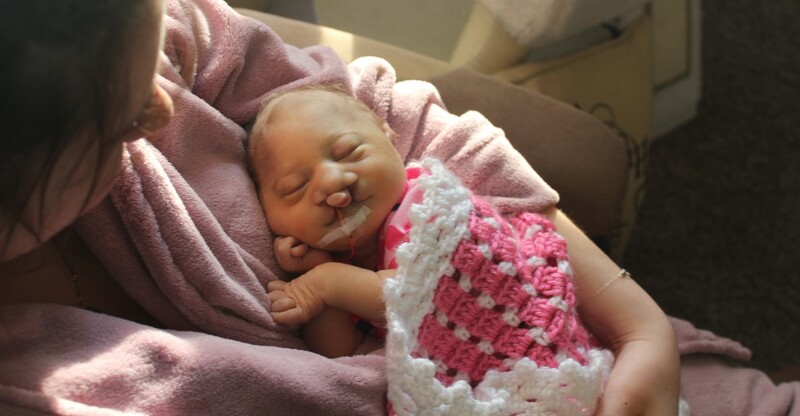 Caroline always waved to us in her ultrasounds – she liked to tease the doctors with her open hands. I love that you have a picture of Audrey’s hands hanging up in your home – what a lovely way to remember her.